New! 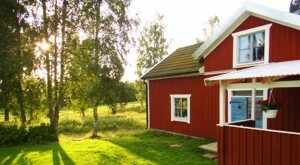 Live on your own small peninsula in our secluded lakeside cottage Pettersvik with a sauna. This newly built cottage is located on a large lakeside premise at lake Ören, without neighbours. 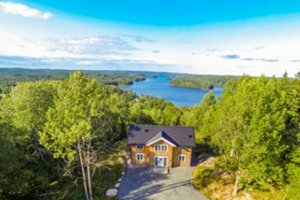 With features like a terrace, sauna and dishwasher, this cottage is very exclusive and particularly suited for a fishing vacation in Sweden with your family. This cottage isn't completely remote, but your only neighbour - your landlords - live in a house about 120m away. The red wooden cottage was built as early as 1804 and offers a historical charm without compromising on standard. After a day of fishing you can recharge your batteries in front of the fireplace. 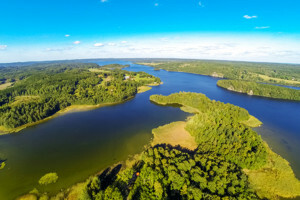 Want to experience Sweden from a different perspective? 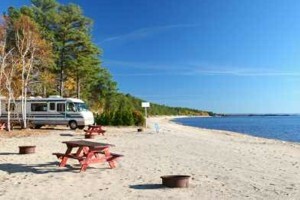 Then rent a motorhome in Sweden from DAYLIGHT HUSBILCENTER AB in Jönköping. Whether you're looking for a secluded quiet spot, the seaside or a night at a Swedish lake - with a motorhome for up to 7 people you're flexible during your holiday. Comfortably fly in to Gothenburg or Jonkoping and pick up your motorhome (Driving licence category B).